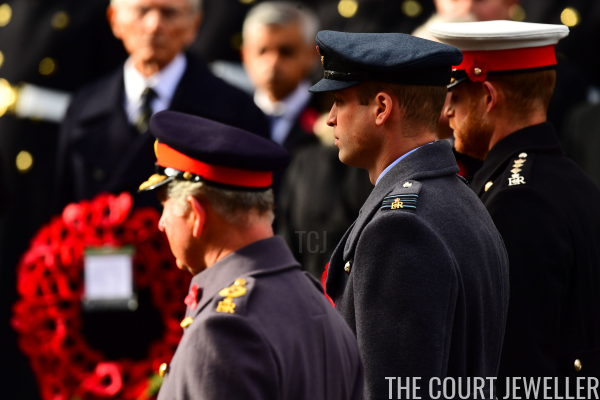 This morning, the British royal family gathered in London for the annual memorial at the Cenotaph honoring fallen members of the military. This year's commemorations were held exactly a century after the end of the First World War, adding an extra touch of poignancy to the moving memorial. 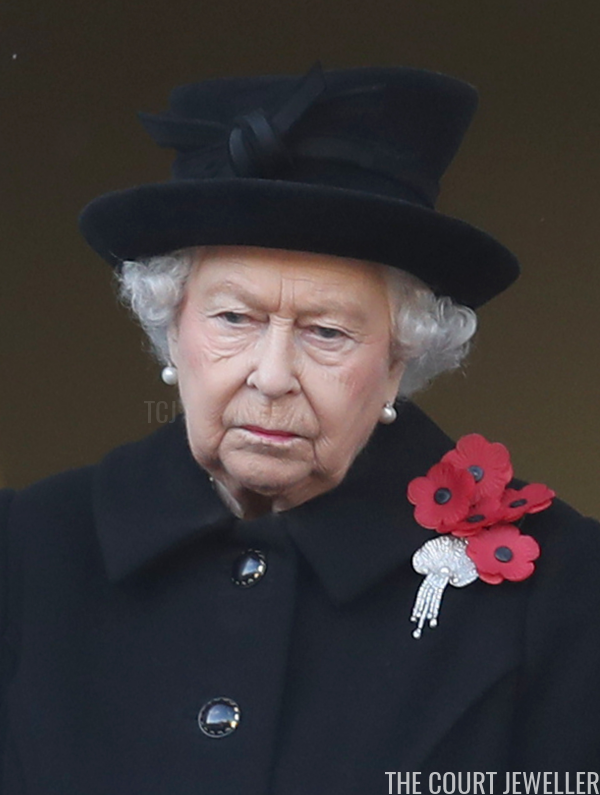 The Queen no longer lays her own tribute wreath at the Cenotaph -- instead, she's passed that role along to the Prince of Wales. Just as she did last year, she watched this morning's memorial from a balcony. 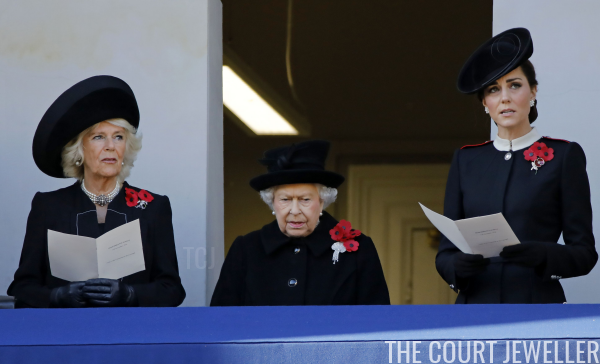 The Duchess of Cornwall and the Duchess of Cambridge joined her. 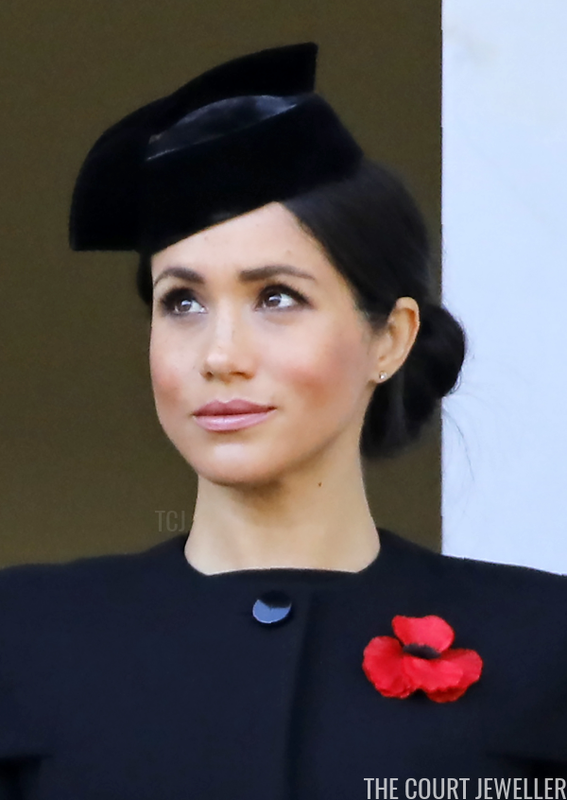 To secure her poppies for the memorial, the Queen chose the Courtauld Thomson Scallop-Shell Brooch, a legacy from her late mother. Jewels connected to the late Queen Mother are always especially sentimental for events related to World War I, as she lost a beloved brother in the conflict. 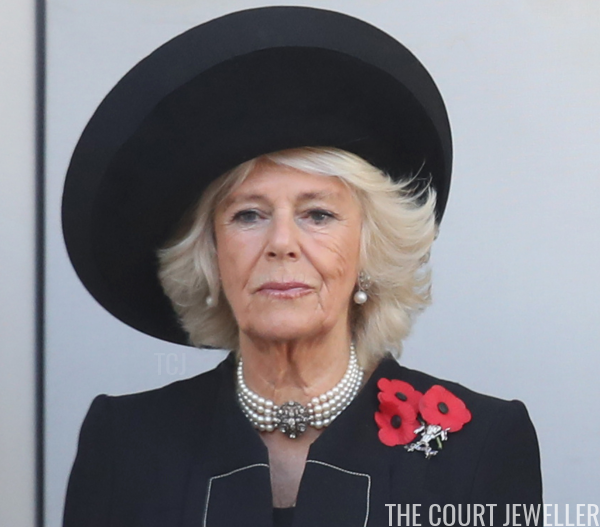 The Duchess of Cornwall also remembered a beloved family member with her jewels. She honored her father, the late Major Bruce Shand, by wearing the badge of his regiment, the 12th Royal Lancers, to secure her poppies. She also wore her favorite pearl drop earrings and her pearl choker necklace with the large diamond clasp. 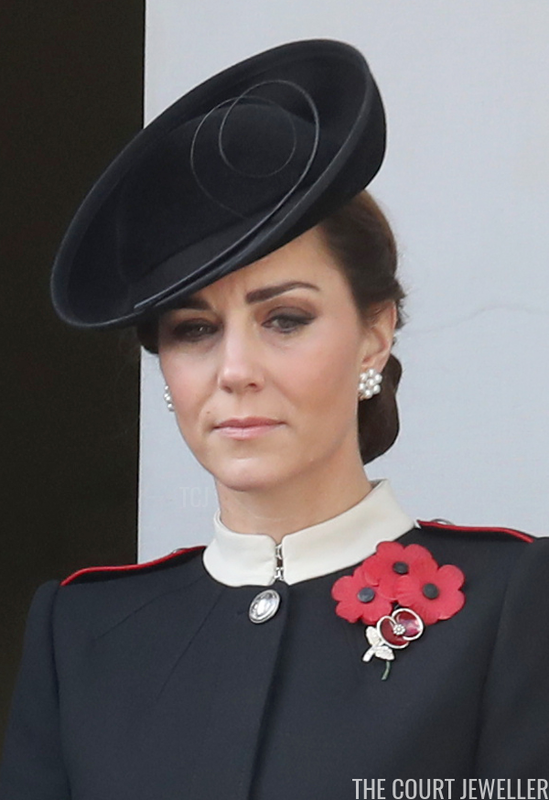 The Duchess of Cambridge once again wore the pearl cluster earrings she debuted at the christening of Prince Louis in July, as well as a poppy pin. 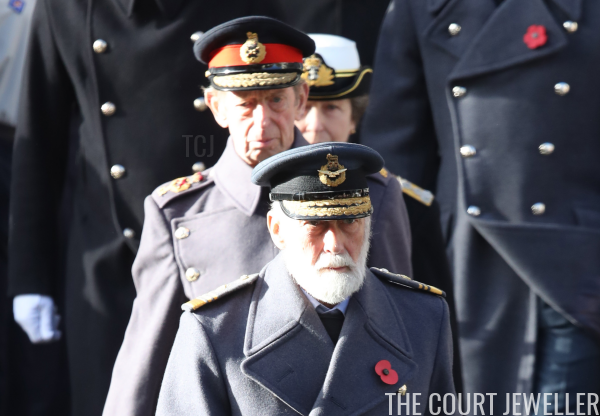 The Princess Royal was in uniform to participate in the wreath-laying ceremony at the Cenotaph; you'll catch a glimpse of her here behind the Duke of Kent and Prince Michael of Kent. 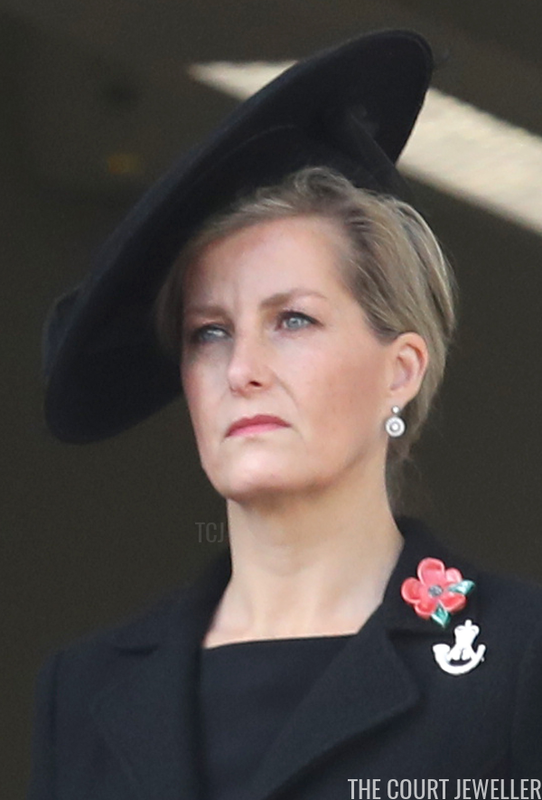 The Countess of Wessex was elegant in simple drop earrings from Heavenly Necklaces, a poppy pin, and the cap badge of The Rifles (Sophie is the Royal Colonel of the 5th Battalion). Be sure to stop by The Court Jeweller later for coverage of the Westminster Abbey service commemorating the centenary of the end of World War I.